From 2016 to May 2018, Revenue received a total of 9,721 ‘good citizen reports’ about suspected tax evasion. 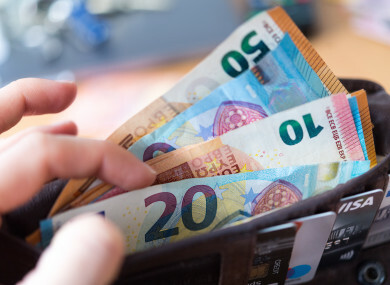 TAX DEFAULTERS WHO do not pay the settlements that have been agreed with the Revenue Commissioners should be named and shamed, according to the Chairman of the Oireachtas Public Accounts Committee, Sean Fleming. Speaking at the launch of the committee’s latest report, he said today a list of the latest defaulters will be published by Revenue. However, he explained the list of names and the settlements listed does not mean those amounts of monies have been paid over. During the course of their work, the committee requested information on tax debt remaining unpaid in respect of tax defaulter names published by Revenue in 2017. Under the Tax Consolidation Act 1997, the names of tax defaulters are allowed to be published and often feature in the national media. Next to a person’s name is the amount of money or ‘settlement’ which the person has agreed to pay. Fleming said this figure does not mean that money has been paid and is merely a figure that has been agreed to be paid. Of the 289 names published, the total amount of tax that should have been paid was €53.3 million. However, 91 people did not pay their agreed settlement, with the total monies unpaid (of that €53.3m) amounting to €25.96 million, almost 45%. The PAC recommends that Revenue review its approach to the collection of outstanding taxes. Fleming said while the initial list of names should still be published, an additional list later in year of those that are still to pay their settlement should be published. This might require new legislation, he added. He told reporters today that the list of defaulters published every few months does not give the full picture to the public as to what tax settlements are actually being paid. Members of the public can make reports to Revenue about suspected tax evasion, which are known as ‘good citizen reports’. The report today states these can be done by phone, letter or online. From 2016 to May 2018, Revenue received a total of 9,721 good citizen reports, which yielded €4.9 million in 2016 and €2.6 million in 2017. In addition, the committee also raised concerns about €1.3 billion in outstanding taxes owed to Revenue that are under appeal. It said it is concerned about the delay in the independent tax appeals process due to its resources and staffing levels. The Tax Appeals Commission (TAC) was established in 2016 as an independent statutory body to determine appeals against assessments and decisions of the Revenue Commissioners. The report finds that the amount of tax under appeal at any one time is “significant”, with an estimated €1.8 billion under appeal as of July 2018. It states that TAC did not have the budget to hire more staff and raised concerns about the commission’s headquarters. The report states that in the weeks after its recent move to a new location the workers did not have enough chairs, had no meeting tables, no access to the government’s ICT network and did not have enough phone lines. Fleming said he was concerned that three people are appealing to TAC for an amount totalling €361.5 million. He called for a clear timetable from the Revenue as to when these cases will be closed off and settled. Email “Calls for naming and shaming of tax defaulters who do not pay their settlements”. Feedback on “Calls for naming and shaming of tax defaulters who do not pay their settlements”.